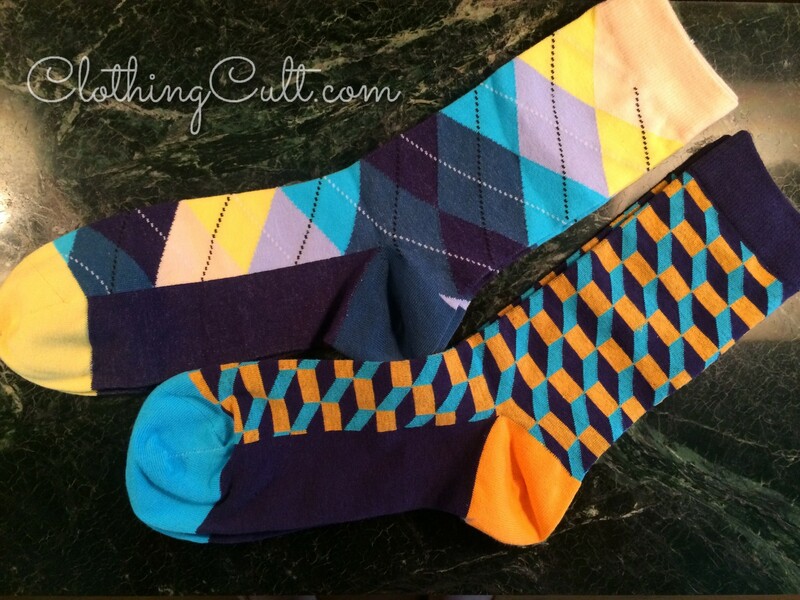 This was a promotional sample sent to ClothingCult.com – the review is still an honest opinion. 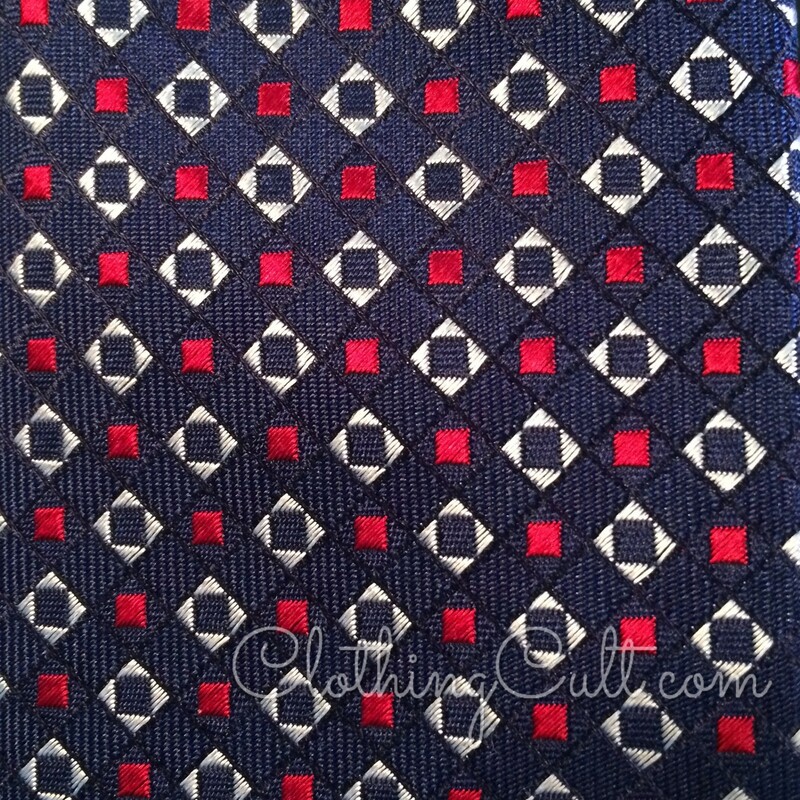 1 Tie: navy, red and white patterned tie. This is the tamest piece in the box. It should work well with a variety of outfits particularly in July. Subtly patriotic. 1 set metal collar stays: Every guy should own some metal collar stays as Tim mentioned in the video. 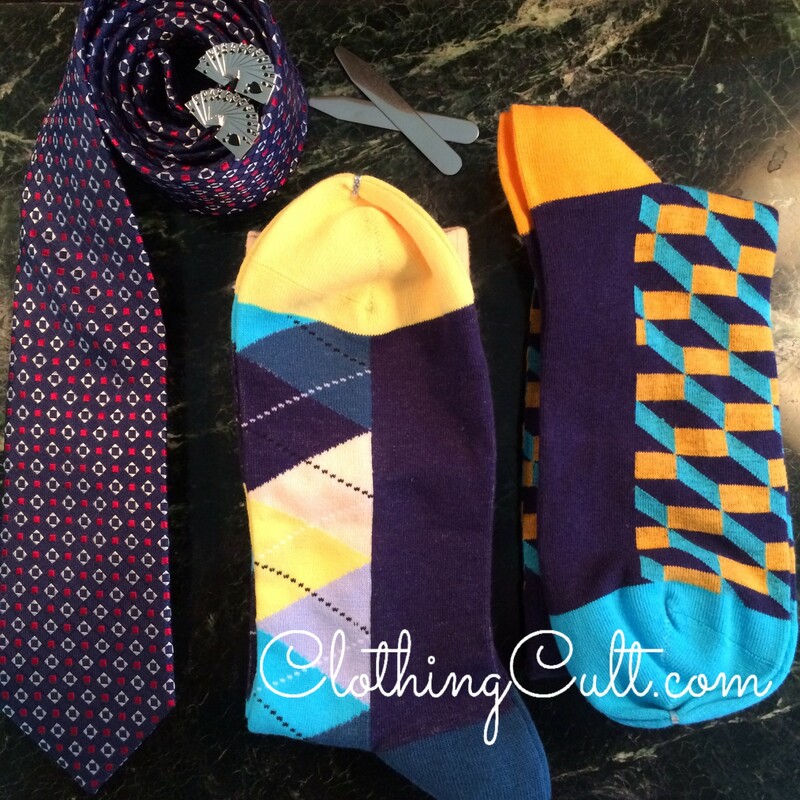 These measure 2 and 9/16″ – not all collars are the same length or take the same size collar stays. 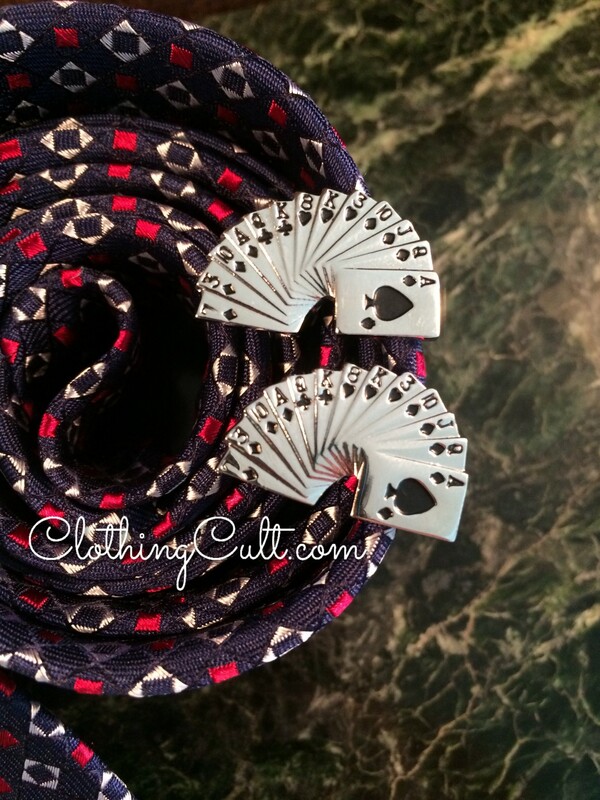 1 set of cuff links: these are look like a card deck which might be good for a poker night. IF you have a shirt with french cuffs (Tim does but he doesn’t really play poker.) Another way you might be able to use cuff links would be in the lapel of a jacket. Don’t forget that each month is a little different so what was in this box may be different if you sign up at a later date. OR if you buy a gift and the person redeems their gift at a later date. We may add a little more info about the box here later but wanted to go ahead and get this information online in time for Father’s Day orders. You can gift one month for $29.